Coconut Oil: Is it Beneficial or Harmful? The coconut has long had significance in various cultures for its many uses and benefits. Taken from the coconut tree, this plant's "fruit" comprised of a fibrous husk, a hard shell, the coconut “flesh”, which is the edible white meat of the coconut, and finally, the liquid coconut water inside. All of these parts can be used for a variety of purposes, from food to beauty products to décor. The flesh is used to make coconut oil and milk, while the liquid water is served as a beverage. Although the coconut has been used for centuries (or even longer) in tropical islands, it has seen a recent surge in popularity. They are the latest fad in “exotic” fruits that have been praised for providing endless health benefits, including curing immune function, weight loss, reducing likelihood of heart disease, lowering cholesterol and even preventing cancer. Coconut oil is extracted from the meat of mature coconuts. Due to its high saturated fat content, it is resistant to becoming rancid and can last up to two years before spoilage. Most commonly, this viscous liquid is used in cooking and frying foods. It is especially prevalent in South Asian and South East Asian dishes. It is also used in baked goods because of its nutty flavour and slight sweetness. Recipes that call for butter can be substituted with coconut oil due to the similar consistencies. Because of its popularity, jars of these goods can be seen lining up the grocery aisles, particularly in health food stores. The virgin version is particularly popular with vegans as a source of saturated fat. This substance is unique because of its composition of fatty acids, making it highly resistant to oxidation at high heats. In contrast, cooking oils of other plant products, such as olives, change in nature as they are exposed to high heats. 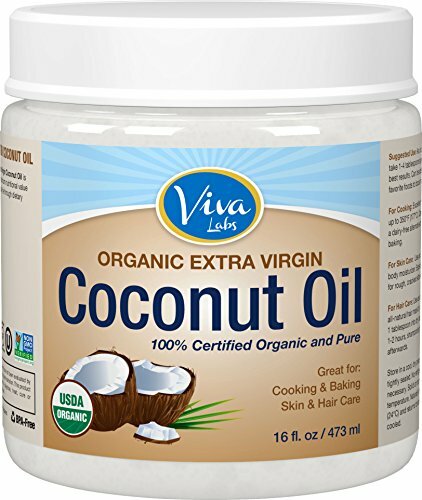 Its high oxidization level makes coconut oil a popular choice, as many believe the substance retains its nutrients better than many other types of cooking oils. Coconut oil can also be applied topically, acting as a moisturizer for dry skin. It has been known to improve the condition and appearance of the scalp and hair. According to the USDA Nutrient Database, the nutritional value of one tablespoon, or 13.6 grams, (a regular dose of oil for cooking and frying) of coconut oil contains 117 calories and 13.6 grams of fat, of which 11.764 grams are saturated fats, 0.789 grams are monounsaturated, and 0.245 grams are polyunsaturated. The composition is composed of 86 per cent saturated fat. There has been much debate over the healthiness of this rich product. It has been paraded recently as the go-to choice for healthy cooking. However, there is limited scientific evidence of the various benefits of coconut oil. Many of the claims are more based on testimony than on clinical evidence. According to Dariush Mozaffarian, MD, DrPH, of Harvard Medical School and Harvard School of Public Health, there is limited evidence on disease outcomes. He also explains that, upon studying the impact of the product on cholesterol levels, “the findings are intriguing but we still don’t know if it is harmful or beneficial.” Still, the American Heart Association and Heart and Stroke Foundation of Canada recommend eating only limited amounts of coconut oil because consumption of high amounts of saturated fats raises LDL (bad) blood cholesterol. The US Dietary Guidelines suggests limited daily intakes of the substance, like other saturated fats, to 7%-10% of your daily caloric intake because saturated fats can increase heart disease risk. However, studies have shown positive health effects from consuming coconut oil. 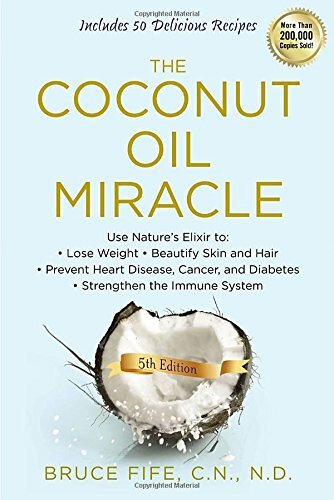 In a study where participants consumed two tablespoons of coconut oil daily for one week, bad cholesterol levels did not rise, but participants’ HDL (good) cholesterol increased. The saturated fat in this plant-based product is composed of a unique blend of short and medium chain fatty acids. These acids, unlike long chain fats, do not require breaking down in the digestive tract. Shorter chain fatty acids are absorbed intact and straight to the liver, allowing for quick boosts of energy. The shorter chained fatty acids also appear to increase calorie burning and promote satiety, helping you feel fuller after eating. A tablespoon of olive oil contains 119 calories and 13.5 grams of fat, which is comprised of 1.864 grams of saturated fat, 9.85 grams monounsaturated fat and 1.421 grams polyunsaturated fat. A tablespoon of sunflower oil contains 120 calories and 13.6 grams of fat, specifically 1.374 grams of saturated fat, 6.174 grams of monounsaturated fat and 5.454 grams of polyunsaturated fat. A tablespoon of unsalted butter has 102 calories and is comprised of 2.55 grams of water, 0.12 grams of protein and 11.52 grams of fat, of which 7.294 grams are saturated fat, 2.985 grams monounsaturated fat, 0.432 polyunsaturated fat and 31 miligrams of cholesterol. Coconut oil is healthier than butter and transfat since it is free of cholesterol. However, unsaturated substances from products such as olive, grapeseed, canola, and sunflower may be healthier in comparison. When compared side by side, they are better at lowering blood cholesterol levels. Thus, the saturated fats in coconut oil should be consumed at limited levels. Unsaturated oils can also offer other benefits, such as vitamin E, found in grapeseed, safflower and sunflower oils, and omega-3, in canola and walnut oils. However, coconuts may contain beneficial plant chemicals that are not yet discovered. You’ve heard the good and the bad about coconut oil. The truth is, scientific studies are still being performed and are not conclusive. While there could potentially be negative effects on LDL cholesterol levels, studies have shown the product to be a good source of HDL cholesterol. There may be other benefits from ingesting this plant-based oil, along with being an energy booster and promoting calorie burning in the body. The important thing is: all foods should be taken in moderation. If you enjoy using coconut oil or eating coconut, treat yourself. A tablespoon or two of coconut oil a day will not harm you. If you're a fan of this versatile product, why not try some coconut recipes? APCC Standards for Virgin Coconut Oil. Jakarta, Indonesia, PDF: Asian and Pacific Coconut Community, 2003.